Tubing adapter - For color light irradiation during colonic irrigation or blood treatments. Hole diameter 10 mm (0.4 in). No more available! Point-adapter - The adapter reduces the beam of light to 2 mm (0.08 in) for the irradiation of points and tiny areas. Meridian-pen - The acrylic pen with globe head is used for the irradiation of meridian lines or acupoints in the ear. Point light-guide - The adapter is used for the irradiation of points in the ear and on the body. Light-guide - The curved acrylic adapter enables the irradiation of badly accessible points and is disinfectable. Multi function pen for orifices - Use the the acrylic glass pen for irradiation in body openings. 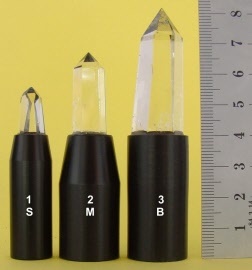 Length of the acrylic glass pen: 80 mm (3.1 in). Diameter: 8 mm (0.3 in). This adapter reduces the beam of light to two millimeters for the irradiation of points and tiny areas. MOLIMEDpen acrylic massage adapter. Diameter 15 mm (0.6 in). Length appr. 35mm (1.4 in). MOLIMEDpen acrylic massage adapter. 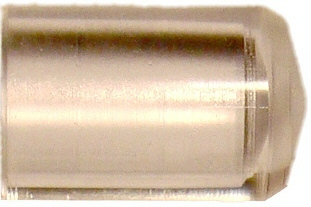 Diameter 20 mm (0.8 in). Length appr. 35mm (1.4 in). We have different sizes available. Please choose your preferred size. Crystal 1 small - length about 15 to 25 mm. Diameter about 7 to 12 mm. Crystal 2 medium - length about 25 to 35 mm. Diameter about 10 to 16 mm. Crystal 3 big - length about 40 to 60 mm. Diameter about 12 to 18 mm. You can see examples on the pictures. This adapter is used for the irradiation of points on the ear. Use the the acrylic glass pen for irradiation in body openings. 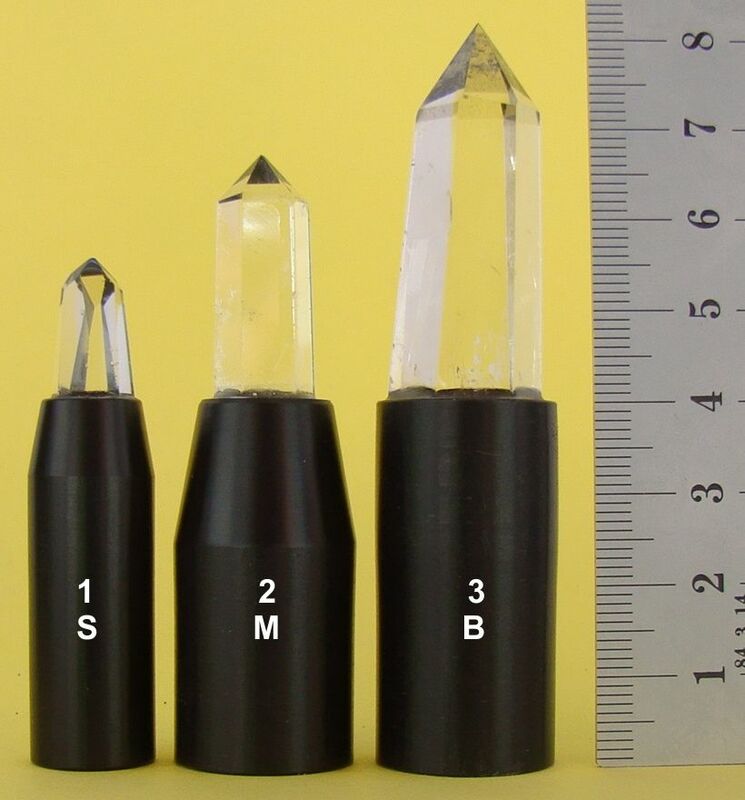 Length of the acrylic glass pen: 80 mm (3.1 in). Diameter: 8 mm (0.3 in). With the acrylic glass finger, the color light is made visible and touchable.